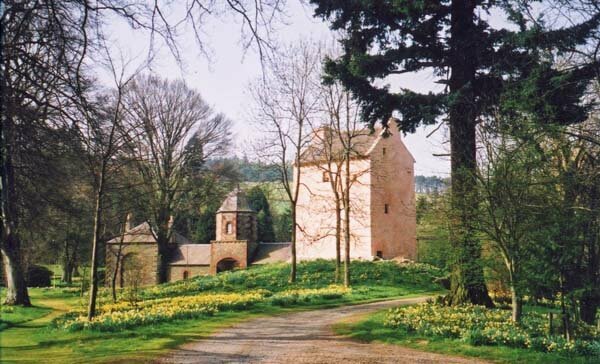 This ancient Tower stands in the midst of the beautiful Tweed Valley, a stone's throw from the river itself. The famous author, John Buchan, came from this area and his first novel, 'John Burnet of Barns' perfectly describes this part of the world. There are the sites of Iron Age settlements, a Roman Fort and an early Christian Burial Mound nearby. It is said that Merlin the Wizard was converted to Christianity at Stobo Kirk, just over the hill. For walkers, The John Buchan Way wends over the hills and the Tweed Walk meanders to Peebles through idyllic countryside, passing Neidpath Castle on the way. For those who need more to do, fishing permits are available at the Tourist Office in Peebles; the world renowned mountain biking centre at Glentress is minutes away; there are beautiful gardens to visit at Dawyck and Kailzie; Peebles Golf Club is considered to be one of the best in the Borders and a visit to Traquair House with its famous Bear Gates, brewery and maze is fascinating. For those choosing to stay at Barns Tower longer, it is a perfect base for exploring the charming Border towns of Melrose, Hawick, Selkirk and St Boswell's. For a spot of pampering, there is a top class spa at Stobo with all manner of luxurious treatments and facilities just five minutes away. Peebles provides an excellent selection of independent food shops, cafes and restaurants as well as supermarkets. The Eastgate Centre has a lively programme of music, theatre and film all year round. For festival goers, the Beltane Festival, Peebles Jazz Festival, Tweed Valley Forest Festival and Traquair Fair are but a few of the popular events each year. There is of course, no need to go anywhere or do anything other than cosy up inside your own small but perfect castle, light a roaring log fire, shut the imposing iron yett on the world and play scrabble (provided!). 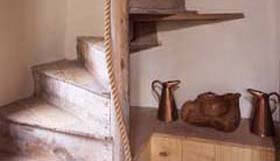 On entering the Tower through the Iron Yett, there is a vaulted chamber with a cobbled floor that was built to shelter animals from marauding rustlers but now has a laundry room, shower and WC with plenty of room for outdoor clothing and kit. 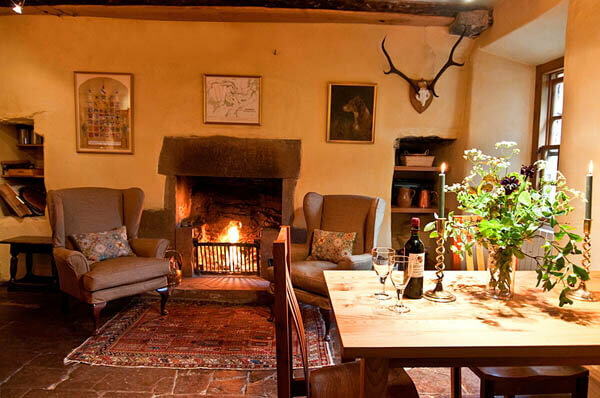 Up the steep winding stone stair to the first floor where there is a splendid, well equipped kitchen with a flag stone floor, large open log fire and beautiful hand-made table and chairs. 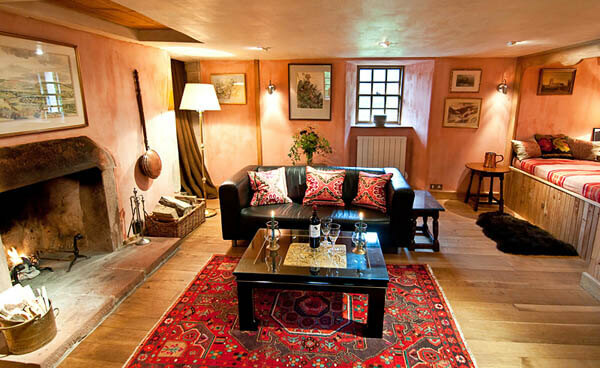 Carrying on to the second floor there is a charming sitting room with another open log fire. 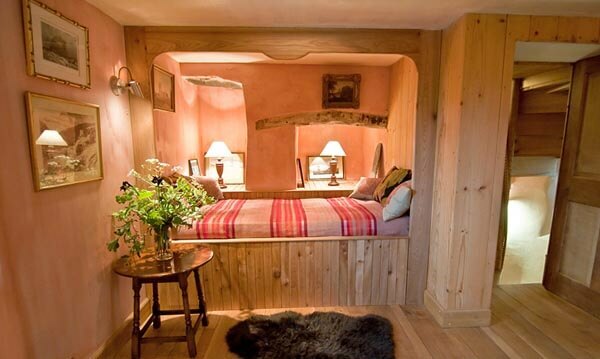 In the sitting room is an authentic Scottish Box Bed, which is a full sized single, with another single bed that pulls out from underneath. 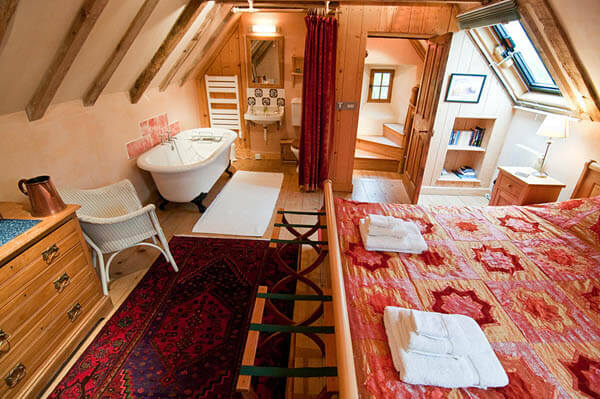 To get to the top floor with its sumptuous bed and roll topped bath there is a choice of two staircases, either the main wooden stair or a hidden stone stair behind a curtain. The recent restoration of the Tower kept the original woodwork wherever possible and replaced any missing bits using Elm, Oak and Pine from the surrounding estate. From Edinburgh, take the A72 to Peebles and continue through towards Glasgow. One mile past Neidpath Castle, turn left to Kirkton Manor. Cross the River Tweed and follow the road for 1 mile until the entrance to Barns Estate on the right. There is a lodge house just before and a red telephone box just after the entrance. Follow the bumpy drive until you arrive at Barns Tower on your right. 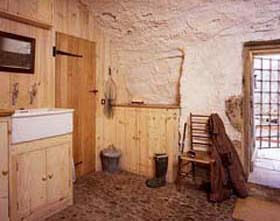 Electric central heating and logs for the fires are included in the rental price. 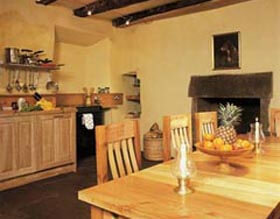 The Tower is rented out throughout the year and is ideal for a romantic break. Change over day is flexible, check out by 10am, Check in after 4pm. To book this luxury castle in the Scottish Borders, click the enquiry button below and see availability and rental rates. 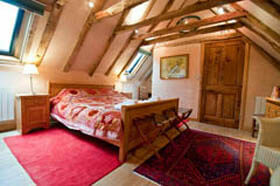 This is sumptuous romantic accommodation and ideal for a couple looking for a holiday in the Scottish Borders. There are lots of other castles to visit in the area as well as Abbotsford, the home of Sir Walter Scott. You can explore the surrounding estate or go further on the Tweed Walk to Peebles which is stunning at all times of the year.